Lucy and Doyle… not only are these names the cutest but they hold great meaning to me! I want to take a minute and tell you how and why I picked this name! Its funny how things seem to happen at a specific time. It is said that some people come into our lives and quickly go, some stay awhile and leave footprints on our hearts, and we are never the same. Lucy and Doyle are some of these people to me. The name Lucy comes from my grandma, Lucille (we don’t actually call her Lucy but that is okay J) When I was little my Grandma and Grandpa were some of my favorite people. I couldn’t wait to be able to spend the day with them, go on vacation or have sleepovers. I was lucky enough to grow up only 30 min away from them so we got to see them all the time. My grandpa was a pharmacist and later in life my grandma started working at the same drug store as a checker. At first just to be with my Grandpa but even after my Grandpa retired my grandma kept working. One of my favorite memories was going into the drug store when my grandma was still working and she would take us to the candy isle and let us pick out whatever piece of candy we wanted! Then when I was 9 my Grandpa passed away. Grandma kept working for a little while but after a series of other family trials and events it was just too much. She missed my Grandpa so much and was having a hard time living alone. That’s when my Grandma came to live with my family. In the beginning she would travel between her 3 kids spending time with everyone but eventually she started spending most of her time at my home. 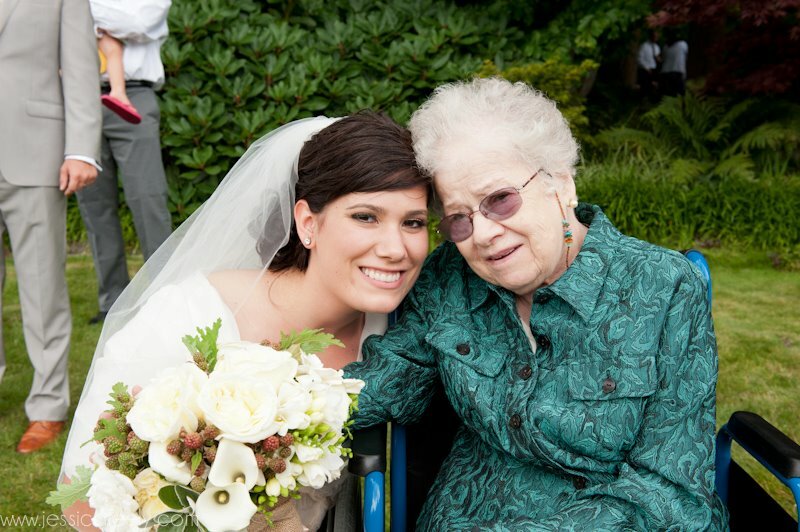 My beautiful Grandma just turned 90 this year and for the past 10 years has been battling life with dementia (Alzheimer’s is a form of Dementia). 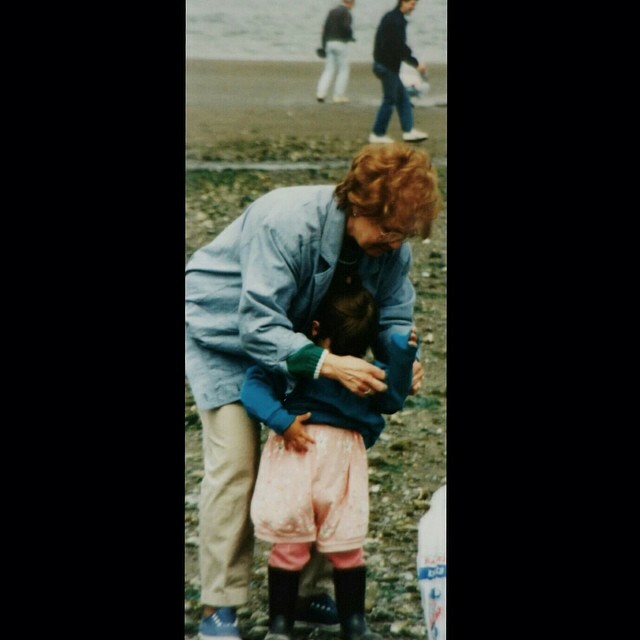 I am so grateful that I grew up so close to my Grandma, I am a different person because of the things we have gone through as a family. My Grandma came from a big family, 9 siblings. One of her younger brothers is Doyle. Doyle has always been a special person to my family. My mom grew up visiting Doyle and his family and even lived with Doyle and his wife Rose after high school before getting married. They were more like a second pair of parents and so growing up they became an extra set of grandparents. Every summer we would go to Utah to visit and stay a week with them. I wish I could sit forever and tell you Uncle Doyle stories and I wish that you all could have had the opportunity to know him. After my Grandpa passed away Doyle became a fill in grandpa in my eyes. A few years ago Doyle was diagnosed with Alzheimer’s. Remember how I said things have interesting timing? 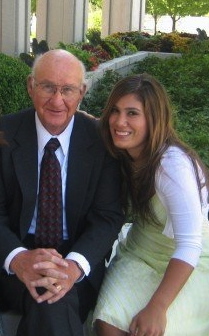 My sweet Uncle Doyle passed away just today. My heart is breaking as I think of the great man this world has lost. Now more then ever I am so happy to announce the meaning and reason behind the name of my shop! Alzheimer’s is a disease that affects tens of millions of people worldwide. There is AMAZING research being done to find ways to stop, reverse and fix the effects of Alzheimer’s on the brain. As I have watched my Grandma and great Uncle struggle with the debilitating effects of this disease I have wanted to find a way to help in some way. I look at my shop, Lucy and Doyle as a way to do just that. We will be donating 10% of all profit to Alzheimer’s research. I have been looking for the perfect foundation to donate to and I am so excited to announce that the money will be donated to the Ann Romney Center for Neurologic Diseases at Brigham and Women’s Hospital. Ann Romney is an amazing woman who has battled with MS, another debilitating neurological disease, for many years. She has funded a research facility that will be focused on accelerating treatments, prevention, and cures for five of the world’s most complex neurologic diseases: Alzheimer’s disease, multiple sclerosis (MS), ALS (Lou Gehrig’s disease), Parkinson’s disease, and brain tumors. You can read more about the research center by clicking here. Lovely tribute Ashley. I know that Uncle Doyle , Lucille and I am very proud of you! Ashley, what a beautiful tribute to both of these wonderful people! Dad and your grandmother are so proud! Thank you! A very touching and beautiful tribute to two wonderful people in your life, and a very generous way to give back and help others! I too had many family members with the same debilitating disease and try to do what I can to support the research. I love your store and wish I could be little again to wear your creations! Ashley, thank you for this. It was absolutely beautiful and I'm so grateful to have you as a cousin. Family is so important and I'm so grateful ours is so close. Doyle will forever be in our hearts. 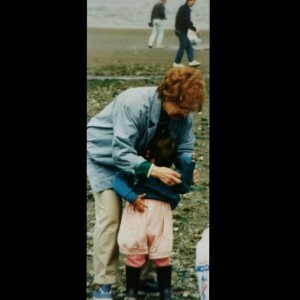 And grandma Lucille will always mean the world to me. Love you!